Streamline Orthodontics Office’s goal is to give you the bright, aligned, beautiful smile that you’ve always wanted. 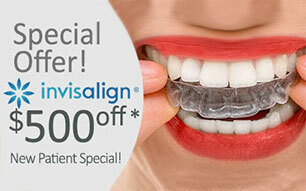 We provide all types of braces Las Vegas for our patients so they can decide which one fits well with them. We fully understand that making the choice to receive orthodontic treatment is a big decision, and we respect your reasons for wanting to improve the way you look and feel. Streamline Orthodontics will work with you through every step of the way to make sure that your orthodontic care is as comfortable, convenient, and rewarding as possible. We use the latest “state of the art” technology, offering a variety of safe and gentle treatment options, giving you the customized care that you deserve. During your complimentary consultation, our staff will explain everything that you will need to know about your orthodontic treatment, so that you can choose what’s best for you. If you’d like to schedule a complimentary consultation with our team, please call 702-660-1921.